For centuries, coppice and coppice-with-standards were the main forest management systems in the northern and central parts of present Belgium. A high population density and a low forest cover in the whole region resulted in a high demand for wood, therefore strict regulations and management regimes were necessary to prevent overexploitation. We illustrate this with a well-documented case, that of Meerdaal Forest in Central Belgium, with reference to other sites in the region. Meerdaal Forest is a woodland 30 km east of Brussels. For centuries its high quality timber stands, especially oak, were managed as coppice-with-standards, with a gradually increasing share of standard trees. Using archive documents and ancient maps, we have reconstructed how this coppice-with-standard management has been developed and optimized over a period of about 500 years. Changes in cutting cycles and configurations were discerned, with a gradual increase of the importance of the standard layer over time. The analysis also showed how wood production could be successfully combined with other sources of income like grazing and pannage. We conclude that former managers of Meerdaal Forest, notwithstanding their lack of scholarship and reference works, developed a state-of-the-art sustainable and flexible management regime that allowed to provide high revenues during many centuries. The management of common land in north-western Germany. In: “The management of common land in northwest Europe, c. 1500-1850” (De Moor M, Shaw-Taylor L, Warde P eds). Brepols Publishers, Turnhout, Belgium, pp. 225-245. The analysis of spatio-temporal forest changes (1775-2000) in Flanders (northern Belgium) indicates habitat-specific levels of fragmentation and area loss. Landscape Ecology 30: 247-259. Coppiced woodlands: their management for wildlife (2nd edn). JNCC, Peterborough, UK, pp. 29. Legacies of the past in the present day forest biodiversity: a review of past land-use effects on forest plant species composition and diversity. Ecological Restoration 22: 361-371. Forest ecosystem assessment, changes in biodiversity and climate change in a densely populated region (Flanders, Belgium). Plant Biosystems 142: 623-629. Woodland conservation and management (2nd edn). Chapman and Hall, London, UK, pp. 374. Hayley wood: its history and ecology. Cambridgeshire and Isle of Ely Naturalists’ Trust, Cambridge, UK, pp. 221. The history of the countryside. J.M. Dent, London, UK. Trees and woodland in the British landscape: the complete history of Britain’s trees, woods and hedgerows. Weidenfeld & Nicolson, London, UK. Ancient woodland: its history, vegetation and uses in England (2nd edn). Castlepoint Press, Colvend, UK. 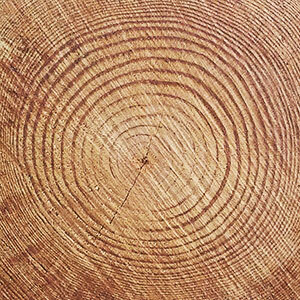 Wood: a history. Polity Press, Cambridge, UK, pp. 399. Determining ancient woodland indicator plants for practical use: a new approach developed in northwest Germany. Forest Ecology and Management 330: 228-239. Rethinking pannage. Historical interactions between oak and swine. In: “Trees, Forested Landscapes and Grazing Animals: A European Perspective on Woodlands and Grazed Treescapes” (Rotherham I ed). Routledge, London, UK, pp. 51-61. Historical ecology of woodlands in Flanders. In: “The ecological history of European forests” (Kirby K, Watkins C eds). CAB International, New York, USA, pp. 283-292. When nature takes over from man: dead wood accumulation in previously managed oak and beech woodlands in North-, West- and Central Europe. Forest Ecology and Management 258: 425-435. Reappearance of old growth elements in lowland woodlands in northern Belgium: do the associated species follow? Silva Fennica 45: 909-936. The land use history (1278-1990) of a mixed hardwood forest in western Belgium and its relationship with chemical soil characteristics. Journal of Biogeography 26: 115-1128. British forest landscapes the legacy of woodland fragmentation. Quarterly Journal of Forestry 100: 273-279.